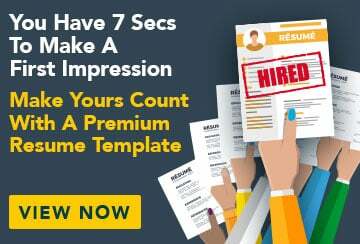 This free sample cover letter for a director of nursing has an accompanying director of nursing sample resume and director of nursing sample job ad to help you put together a winning job application. Please accept my application for the Director of Nursing position advertised recently on Seek.com.au. As a DDON with over twenty years’ experience in mental health with a proven ability to manage both patients and staff, I believe I would be an ideal candidate for the job. I have a genuine passion for health care and always bring an enthusiastic ‘can do’ attitude to my work. When I was Deputy Director of Nursing at Greenfields Hospital, I was in charge of the wellbeing of a wide range of patients suffering from long-term to short-term mental problems. I worked with psychiatrists and nurses to offer the best possible treatment for each individual case. I also worked closely with the DON including taking on her duties during her long service leave and I have a good understanding of what the job involves. Previous to this I have worked as a clinical nurse specialist for Canberra Community Mental Health where I worked closely with patients, their relatives as well as a small health care team to foster good relationships with the patients and promote wellbeing. During my work as a registered nurse I have gained the experience and the skills to lead a dynamic team to provide the best possible health care available. I have learnt the importance of creating and maintaining relationships with both patients and their families in achieving this care. Having extensive experience, particularly in mental health has given me the ability to think on my feet, especially in times of extreme pressure or stress. I also am aware of the importance of working effectively in a team to minimise risks and ensure safety. I am seeking to permanently upgrade into the DON position, and this job offers me the perfect opportunity to bring my skills into a new environment. I look forward to hearing more about the facility and meeting some of the residents. Please find my resume attached.